Fantasy author Garth Nix loves food - lots of different types of food - but put his back to the wall (or a tree as was the case with the Kids & YA Festival), and he plumps for bangers and mash - an all-time favourite for many. 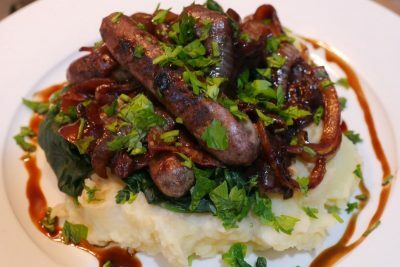 So we have used the Taste recipe with red onion gravy below because we used the Cleaver's gluten free mint and lamb sausages and red onion gravy (with red wine) because red wine goes so well with lamb. We hope you enjoy them as much as we did. Thanks to authors Kate Forsyth, Belinda Murrell and Sarah (S.L.) Mills, Word of Mouth TV has two more book packs to give away this week for our special Kids & YA Festival edition. And it's another bumper giveaway, containing the most books of any giveaway to date (so exciting!). What’s in the box? 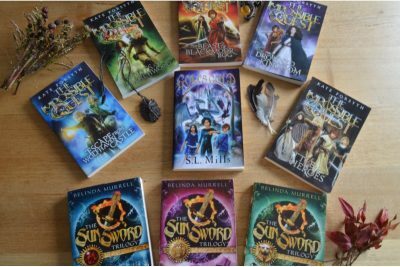 Kate Forsyth's The Impossible Quest quintet, Belinda Murrell’s The Sun Sword trilogy and S.L. Mills' GOM’s Gold. In honour of our coverage of Writing NSW's Kids & Young Adult Festival, this episode’s Iconic Literary Food Moment is devoted to the children’s classic Oliver Twist by Charles Dickens. 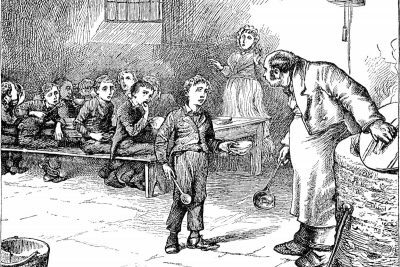 Millions remember the moment when Parish orphan Oliver Twist returns with his bowl of gruel to Mr Bumble and says “Please Sir, I want some more?” In this scene, Dickens plays our emotions like a fiddle. 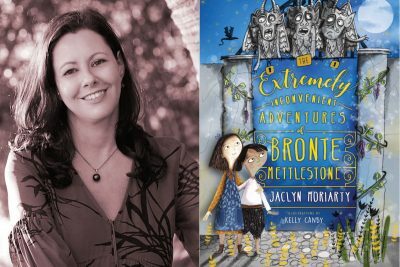 I have always thought that Jaclyn Moriarty has one of the freshest and most original voices in Australian children’s literature and so was eager to read her latest children’s fantasy, beautifully presented as a hardback with whimsical illustrations by Kelly Canby. The book did not disappoint – it was a sparkling delight from beginning to end, with lots of unexpected discoveries, wondrous encounters and madcap adventures. 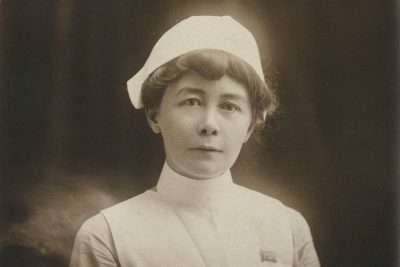 There was more bookish news than you could poke a stick at this week, and we have expanded the section to include international news. 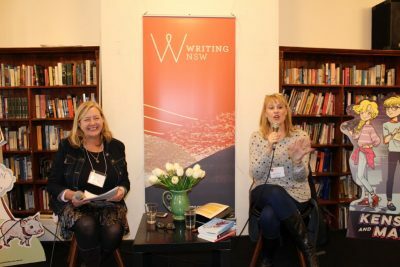 Writing NSW’s biennial Kids & YA Festival leads this week's line-up because the event was the fourth-highest trender on Twitter, edged out by the football and a major political event (thanks to some frantic tweeting by attendees), and it feels like an absolute triumph whenever books are mentioned in the same breath as football in Australia’s media. Welcome to the first instalment of Word of Mouth TV's industry news series, in which we summarise bookish news for the past fortnight, and flag upcoming events. If any of our subscribers hear anything on the grapevine, we'd love to hear from you. Just email us at hello@wordofmouthtv.com.au, or contact us on our twitter feed @wordofmouth_T_V .